"D.R.M. 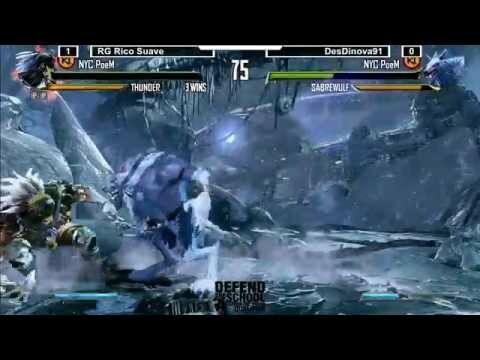 STILL ALIVE THEY JUST BE CONCEALING IT"
Team Spooky After Hours recently uploaded the Killer Instinct winners finals set from Defend the School, and during this bout a peculiar occurrence took place. After a couple of matches played out between RG|Rico Suave and DesDinova91, the players were kicked out of the game, and prompted with the, "Do you own this game or app?" message. As we know, Microsoft reversed their restrictive DRM policies after a giant uproar of displeased fans, and a daily connection to the internet is no longer required for the system to operate. However, when multiple profiles are active on the Xbox One, playing a game under one that did not originally install the game will cause this message to appear. What's really unfortunate is that the players weren't even able to save their progress before being booted out of KI. It appears as though the message was a result of the console losing its internet connection, and if that's the case, Xbox One players (not using the original profile that installed the game) could potentially risk losing game progress at the expense of a small internet hiccup or accidental disconnect. We're not quite sure what this means for Xbox One offline tournament play, but we'll be sure to update you as more information unfolds. Hit the jump to check out the footage. The disconnect takes place at around 6:35 in the video. Was the game a downloaded or disc version? If it was downloaded then this normal.